BerryWorld fruity meringues. 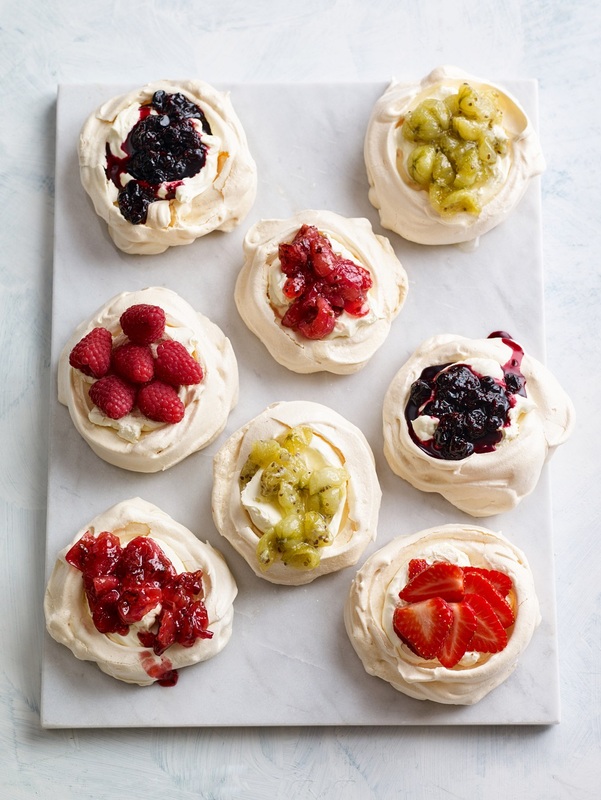 These classic meringues are topped with cool whipped cream and your choice of berries, they make a delicious pudding or afternoon treat. Preheat the oven to 100C and line 2 baking sheets with non-stick parchment. In a sparkling clean bowl with very clean whisks, whisk the egg whites until stiff then slowly add the caster sugar whilst whisking. Continue whisking until the mixture becomes stiff and shiny. Add the cornflour and whisk briefly to incorporate. Spoon 4 pillows of meringue, well-spaced, onto each baking sheet. Make a slight indent in the top of each. Turn the oven down to 80C and cook for 1 ½ hours then turn off the oven and leave to go cold. When ready to serve, whip the cream to soft peaks and spoon into the indent of each meringue. Top with your choice of berries and serve. Note: If using less sweet berries, such as blackcurrants or gooseberries, you can choose to make them into a quick compote. Heat the berries in a pan with a few spoons of sugar and a dash of water. Taste and add more sugar to suit your taste and tartness of the berries. 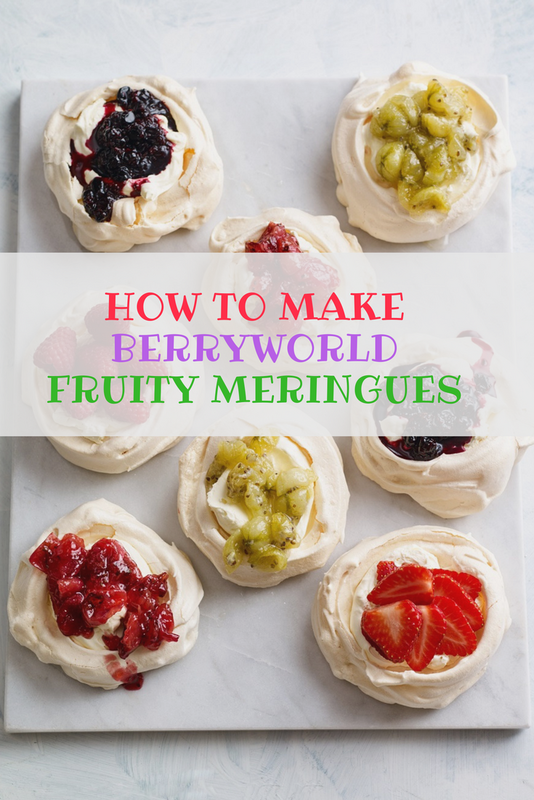 What do you think of these BerryWorld fruity meringues? Fancy trying this BerryWorld Blackcurrant, Lime And Coconut Cheesecake recipe? What a fun berry recipe. These fruity meringues look so good. Thank you for sharing at Inspire Me Monday. Thanks Maria :) we lovely these here too. Pavlovas and Eton mess type deserts are my favourites, this is right up my street! I love all the different toppings for your meringues! Hope you are having a great week and thanks so much for sharing your post with us at Full Plate Thursday!